While plotting my historical novel, I took some breaks for me… Imagine! If you have small kids at home, or have at any time had small children plucking at your sleeve, asking for snacks, you’ll know what I mean. So I picked up a book and curled up on front of our faux fireplace. Today it was The Screwtape Letters by C. S. Lewis. Reading is an absolute pleasure, and I thought it was high time I got reacquainted with the sound of my own thoughts. 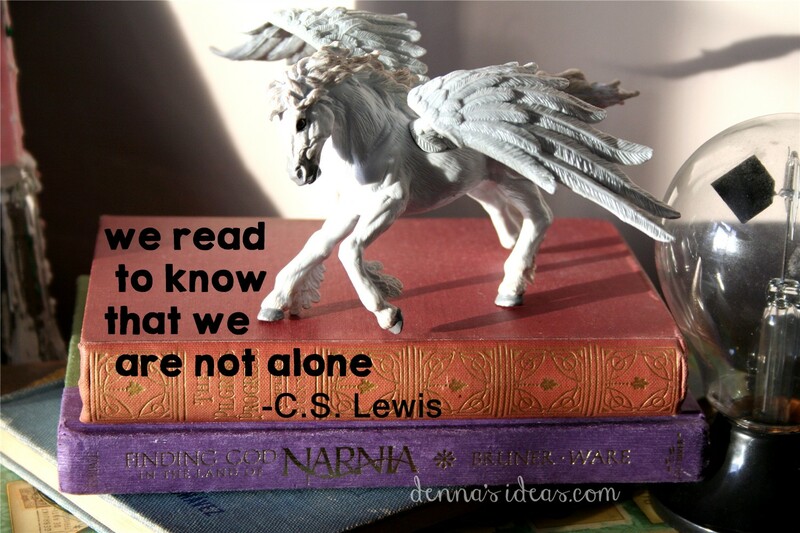 Or C. S. Lewis’s thoughts… or a mix of the two. I love C. S. Lewis because he had such an amazing view of the world around him, and I think having lived through two World Wars gave him a distinct perspective. Life isn’t easy. Life isn’t pretty. But there IS beauty. I am often asked what I read for fun, and people are surprised to find that I read more than romance. I love to write romance–in fact I tend to see the world through romance colored glasses–but my reading tastes tend to be a bit more eclectic. I read philosophy, theology, murder mysteries, historical novels…. I read fairy tales and children’s stories, and articles on science and archeology. And I’m a firm believer that all of that comes together in this writer’s brain into the most important thing we’ll ever do on this planet, and this is to love someone. Like C. S. Lewis, I believe in more. So much more. But all it all comes together into our deepest human need–to love and to be loved. I might long for this luxurious time alone to think, but what use is it without that little boy who plucks at my sleeve, asking for his snack? My mind longs to think and chew things over, but my heart–my heart beats for the people I love. My reading tastes vary, depending on my mood. Right now on the top of my pile of books I have the new book by Dr. Seuss, “Horton and the Kwuggerbug and Other Lost Stories.” Beneath that book is “His Montana Sweetheart” by Ruth Logan Herne. Have a great weekend. I love those lesser known Dr. Seuss books. I bought my son Yertle the Turtle, and I think I love it more than he does! LOL!